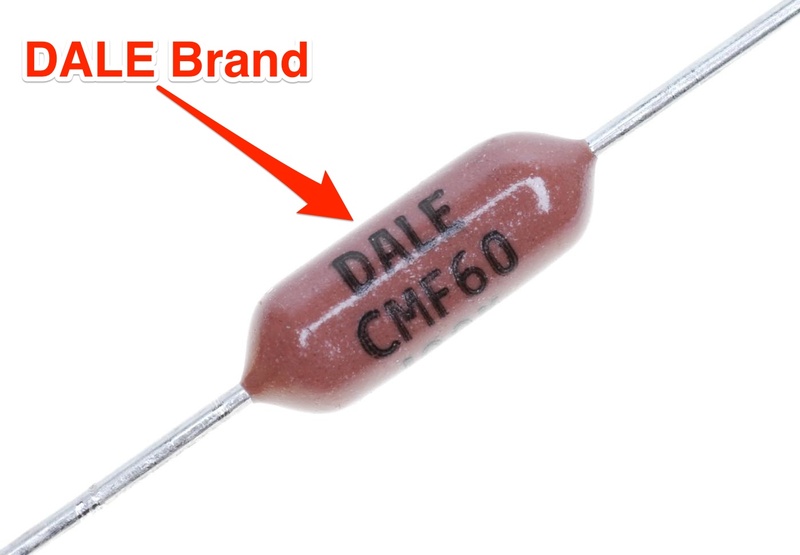 Back by popular demand - Vishay / DALE CMF60 resistors. Made in the USA, these are the same DALE resistors used in military fighter aircraft, perfect for any MIL-SPEC style construction. They are industrial precision 1%, 1/2W, 500V rated resistors, built to withstand the tortures of supersonic, high altitude flights and any amp turned on "11". 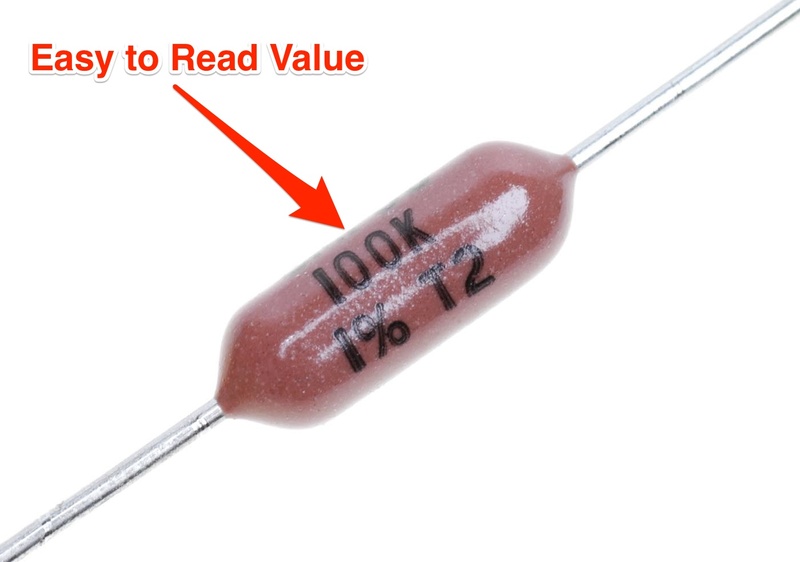 Because these are precision resistors, the values may be listed with an additional digit. Therefore when choosing, pick the closest value to the one you are needing (example: for a standard 220K resistor, select a 221K precision resistor). And as an added benefit, there is no need to figure out color codes because the actual values are printed directly on the resistors. Your amp will look and perform better with these resistors installed. Its hard to find US made components these days, but the US military requires the majority of components in military equipment to be of US origin. These Dale, precision resistors are Made in the USA. Love these resistors. I use them in all my amps. I prefer them much more than generic resistors. They're extremely accurate, durable, and quiet. Plus they have the resistance written directly on the component which is great for beginners not yet used to the resistor color code. Used these in a 5F1 amp and it's super quiet.Far quieter than the regular carbon comp ones. These are great. I randomly tested several and all were spot on. They look great too . No more trying to read monochromatic looking micro bands. I use these USA-made MIL-Spec 1% resistors extensively in all of my tube amplifiers. They're Small size, flame retardant, extremely low noise, and right on tolerance and don't drift.